Avoncoin is otherwise known as "ACN" and runs independently of a single administration, such as a central bank. The decentralized digital currency is not mineable, so instead, you are able to buy ACN from a currency exchange. It follows the proof of stake (pos) consensus and PoS algorithm. 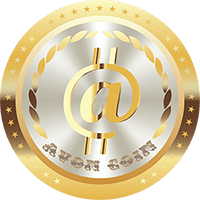 We don't have any exchanges listed for Avoncoin yet, check back soon! We don't have any wallets listed for Avoncoin yet, check back soon! We don't have any debit cards listed for Avoncoin (ACN) yet, check back soon!